Spend the summer in beautiful Laramie, Wyoming, participating in the University of Wyoming REU program. In this program, each student will be trained to use the University's 2.3 meter and 0.6 meter telescopes to observe and to analyze astronomical data. Frequent seminars will cover recent breakthroughs in astronomy, computational techniques, preparing for graduate school, best practices for written and oral presentations, and responsible research conduct. A unique aspect of the Wyoming REU program is that all students will work together as a team on a single project. 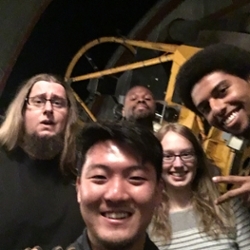 2016 CAMPARE scholars at the 2.3-m WIRO telescope. During the summer of 2019, our program will focus on characterizing the star formation histories of galaxies. Students will use our 2.3 meter telescope on nearby Mt. 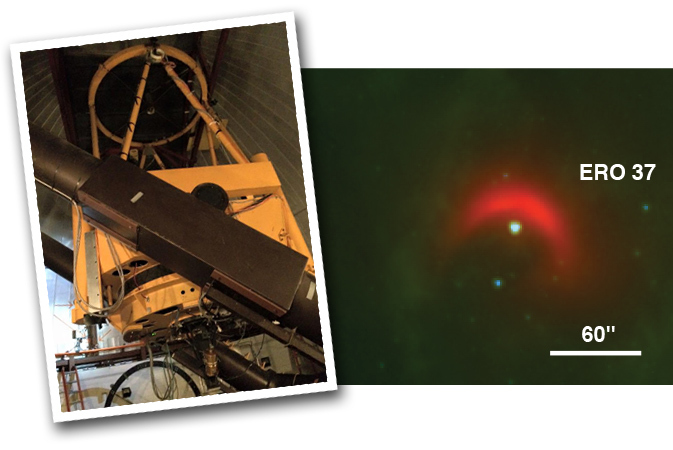 Jelm to obtain spectroscopy of supermassive black hole binary systems. 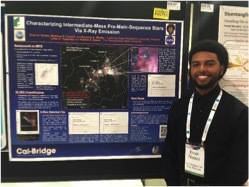 Students will learn how to process and analyze astronomical spectra and imaging data, learn techniques in scientific programming, and become expert observers. In fact, our 2012-2018 cohorts averaged 46 nights per summer on the 2.3 meter telescope. Situated between two mountain ranges and lying at an elevation of 7,200 feet, Laramie's location provides excellent outdoor opportunities in the Rocky Mountain West. Previous REU participants have gone on hiking, climbing, rafting, camping, and nature/wildlife photography excursions. Destinations typically include Grand Tetons National Park, Yellowstone National Park, and local mountain ranges in southern Wyoming and northern Colorado. Laramie's unique cultural flavor combines elements of the rugged rural west with the cosmopolitan aspects of an intellectual center. By car, Laramie is approximately two hours from Denver. Selected students will receive a $5000 stipend for the full 10 weeks. In addition, participants will be provided with housing and reimbursed for travel from home or campus to Laramie, Wyoming. 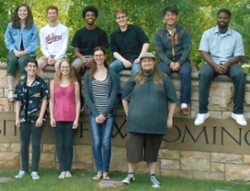 Summer 2016 researchers at the University of Wyoming. Successful students will be notified in March. 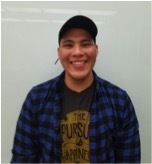 The research program runs Monday, May 20 to Friday, July 26, 2019 (10 weeks). Participants must be available during the entire 10-week period of the program.